This entry was posted in Advice and tagged Gary Gygax, Greyhawk, initiative, Jeremy Crawford, spells. Bookmark the permalink. 5 Responses to Should Charm Person Work Like a Jedi Mind Trick? 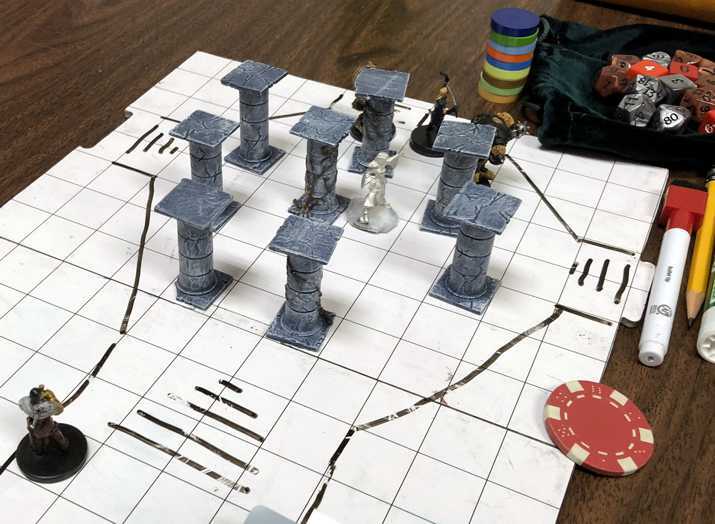 Your description of initiative rings true (and is how I envisioned it) until the evolution of the game ties multiple acts, with your complete move) and gets even worse when you add a grid and minis. Because now the action in the game doesn’t resemble what you describe at all as one or more characters get to move, act, bonus act, even react sometimes, while everybody else stands still and just waits to be killed because their turn comes too late. In AD&D, if you had multiple attacks they came on different segments, unless they were different appendages (claw, claw, bite), and if you used weapon speed factors, even fighting with two weapons occurred on different segements. Combined with rolling initiative at the start of each round, the action at the table much more closely resembled the action in the game. Spellcasting also took time, and you could interrupt a spell and ruin it. Which meant that the idea of attempting to conceal a spell was a risk/reward circumstamce, rather than the automatic success, even if they notice. The beauty of the AD&D rules is that the rules weren’t so fixated on ensuring that everything was “balanced” in a step by step mechanical way. As house rules (like being able to try to conceal a spell) became codified, it removed flexibility (and authority) from the DM’s ability to adjudicate that action in according to a narrative approach, because now the players have a set of rules that they expect to work the same way every time. And instigators interrupting a role-playing scene? Combat is a role-playing scene. At least how we do it. AD&D has a simple mechanic for that too. A surprise check. Yes, ambiguity in the rules can be taken advantage of by poor players or DMs. But when played with an understanding of their benefits, and in good faith, or with well written rules that benefit good planning and role-playing, they are a far better tool and framework to match the action at the table to the action in the game. 1-4 = They are charmed but not open to suggestion they just see you as a friend. 5-9 = They are charmed but may be influenced slightly. They see you as a trusted friend, and value your opinions. 10+ They fully bend to your will. In Pathfinder, for kicking off initiative in a social situation like this I have the character who is initiating the ‘combat’ to make a Bluff check, and everyone else rolls their Sense Motive against it to see if they are surprised. Also, if there’s one character (or creature) who has obviously started things, I allow that character to take 20 on their initiative roll. They get a big advantage, but still aren’t guaranteed to act first. I always found sleep to be an incredibly overpowered spell in low level adventures. I started this game with AD&D 1st Edition but have played OD&D and Basic. Sleep gives the low level wizard to take out a whole group of enemies rather than just one. While charm may allow the wizard to have some control over one enemy and use them as a walking ten foot pole to find traps sleep allows the wizard to control several enemies at once. This may be a somewhat obvious point, but it seems to me like Suggestion is more akin to the “Jedi Mind Trick”. There’s no somatic component, so it’s a bit less obvious you’re casting a spell. I suppose the DM would have to rule how obviously arcane the verbal component is, but it seems like they might rule the sentence or two you utter could count as said component. Either way, I’ve described Suggestion to new bards as the Jedi Mind Trick. You’re uttering a sentence or two of things for the person to do, and if they fail the save, they do it. Making a person like you is mad helpful, but if a friendly acquaintance tells me these aren’t the droids I’m looking for when they are, I’m not going to believe him.